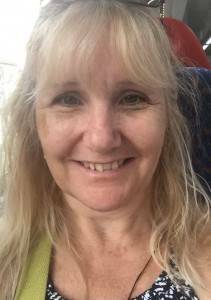 I am a further and higher education (FE and HE) lecturer, having entered the teaching profession following a decade as a hands-on proprietor of nursery and playwork settings. Teaching and learning activities undertaken over the last nine years have left me with a strong interest in the impact of social phenomena and policy on learning experiences. My teaching experience has shown that each student has a unique set of motivators and potential barriers to success. For FE students (predominantly 16-18 years of age), the pressures of becoming independent learners, frequently coupled with an acute need to conform and the fragility which often lies beneath a confident exterior, contribute to a myriad of pathways through post-compulsory education. Understanding their motivators and possible barriers is integral to designing effective programmes of study. My work in this respect is informed by insights gained within my professional role into students’ individual contexts and perspectives, allowing me to support their effective engagement with educational provisions created by policy-makers, education leaders and teachers. My research experiences also have taught me that, even where a culture of continuous improvement permeates throughout the organisation, data gathering can be disruptive to learning when it is not well integrated with instructional activities, and thus must be meticulously planned to ensure valid and valuable outcomes. Today’s tertiary education sector is, more than ever, challenged by funding constraints. In further education (FE), sustaining student numbers and retention of students are critical to the survival of institutions and high on the agenda for leaders. This study, conducted in a south Lincolnshire college during the 2015-16 academic year, was devised in recognition of this phenomenon and designed as a mixed-method practitioner-research project. A case study was conducted involving use of a focus group, case histories and interviews, with samples of students, staff and leaders. Results, in common with existing studies, indicated that influencing factors were varied and often complex. However, they also suggested that knowledge and attitudes of different professionals engaging with young people in FE had a significant influence on students’ decisions about course completion, as did clear links between coursework and employment opportunities. Following this project, features of retention-supporting practice within the college were revisited and adapted. The results informed a series of continuing professional development opportunities for staff as well as a review of induction processes. This project was undertaken in an FE college in south Lincolnshire. The college serves a largely rural area and delivers vocational (Levels 1-3) and academic (A-level) courses across a range of disciplines. The majority of students are aged between 16 and 18 years. Student destinations include local and worldwide employment opportunities or higher-education courses (university level). This practitioner-research was undertaken within the Early Years, Health and Social Care (EYHSC) department of the college, with a focus on factors influencing retention of further education students in Levels 2 and 3 early-years courses. Retention is key to sustainability in the further education sector, data on retention being used retrospectively in the allocation of government funding to colleges. Student retention in courses in the EYHSC department – particularly lower level courses – has, in recent years, been a cause of concern. This is partly due to: poor application of recruitment criteria; previous college leadership seeking to recruit high numbers of students, rather than recruiting with integrity; ‘serial’ students, with no clear idea of what they want to do, who move, for example, from animal studies, to hair and beauty, then on to EYHSC; students not coping with the demands of the course or the change from a school environment; and a range of teaching-related and personal issues. Where students can be retained, it promotes their confidence and self-esteem in addition to supporting progression into the world of work or higher education. From the educational institution’s perspective, retention has positive impact on both reputation and future funding. A shortage of recent research in the area of FE student retention led me to engage in this project. I was driven to investigate factors which had an impact on student retention and well-placed to undertake the study as I had taught early-years courses from level one to five for nine years. I had first-hand experience of the pressure to retain students, and was aware of many of the issues experienced by the young people I taught. Delivering courses across many levels also afforded me an opportunity to monitor individual students’ pathways through FE and into HE. The FE environment, with its diverse student-base and teaching staff from a wide range of professional disciplines, is complex and incredibly busy. Staff rarely have time to pause and analyse factors which influence individual students’ decisions about withdrawing or completing courses, or to identify patterns in these factors. Therefore, finding strategies and activities which would be most likely to support retention stood to be beneficial for staff throughout this college and beyond. The retention of students in the further education (FE) sector is key to the sustainability of the sector. Ensuring that students are on the right course and seeing them through to completion are the subjects of continuous effort within colleges, from first contact with each student through to the end of the college-student relationship. As a teacher in the FE sector, familiarity with retention data at course, departmental and institutional levels has always been an essential part of my role. As my experience has grown, I have developed a greater understanding of why student retention should be the driver behind all FE activity. Those who are employed in the FE sector work hard to sustain retention rates for the benefit of all stakeholders and also to support their own employment – ultimately dependent upon funding streams which are influenced by student retention. Non-completion of FE courses also has far-reaching effects for the educational institutions themselves. Retention rates are used retrospectively in the allocation of Education Funding Agency (EFA) funding (Association of Colleges, 2014), in addition to their role as ‘…proxies for the quality of learning outcomes’ (Department for Business, Innovation and Skills, 2012, p.13). Withdrawing students register as failures, with an attendant impact on the college’s reputation (college performance tables are freely available from the Department for Education). Despite the fact that students withdraw from FE courses for a wide range of personal as well as educational reasons, beginning in the 2016-17 academic year, all withdrawals have been ‘… treated in the same way in the retention measure methodology, regardless of whether they are related to educational reasons or not’ (Department for Education, 2015, p.24). There are implications for the government, as well as at the institutional level. ‘Around 12 per cent of the entire budget for post-16 education in England is being wasted on the 10 per cent who fail to complete their studies…’ (Center for Recording Achievement, 2015). With FE student retention proving to be of interest to government departments, employers and education professionals, it was pertinent to add to the body of knowledge in this key area. For students, the group who stand to benefit the most, socially and financially, from course completion, further investigation into influencing factors, and an opportunity to examine these from the perspectives of both withdrawing and completing students would be valuable. In an uncertain political and economic climate, and with an unprecedented array of pressures on the young people who enrol in FE courses, student retention rates continued to be unpredictable for many courses across the college at the time when this practitioner-research was devised. The study sought to raise awareness amongst college staff of predictors of early withdrawal and facilitators of retention. It also aimed to inform future practice through identifying existing activities and strategies which supported student retention, and any which did not. It was vital that sample groups represented a range of stakeholders in students’ journeys, including the students themselves. The sample representativeness was to encourage continuing students to engage in follow-up projects, including the design of induction materials for future cohorts, and also to imbue the study with wider credibility. Further, to examine the extent to which staff-student relationships might influence student decisions regarding course completion, relationships between students and various college staff (pastoral and academic) were examined. 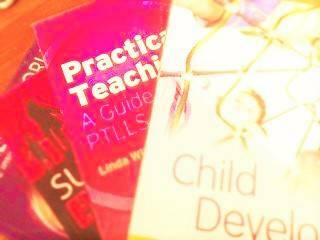 The follow-up goal was to use the resulting information to develop resources for continuing professional development (CPD) sessions, targeted at teaching and pastoral staff. The study was undertaken via interviews, a focus group and the construction of student profiles. Semi-structured interviews were conducted with 10 students who had expressed a desire to withdraw from courses but had gone on to complete. These students (all female) were all studying childcare courses, five at Level three, and five at Level two. They were asked about their reasons for considering withdrawing, at what point during the academic year they considered this, and factors which had influenced their decision to remain at college. The interview data were compiled and analysed qualitatively, and also cross-analysed against focus group and student profile results. All of the participating students had considered withdrawing during the first five months of their courses. All had more than one reason. Two of them had looked into moving onto apprenticeships – one because the hands-on format appealed and the other partly for financial reasons. Eight of the students identified course-related reasons for potentially withdrawing (including pace and level of the work), and four identified issues in their personal lives. Of the five Level two students who participated, four cited college interventions (including disciplinary issues) amongst their reasons for considering early withdrawal. This category of reasons was not mentioned by any of the Level three respondents, and is the only category which was level-specific. The students interviewed identified factors contributing to their decisions to complete the course, with ‘support from lecturers’ emerging as the most common factor (cited by six of the 10 students). Support from one-to-one support staff, the head of the curriculum area, the college’s apprenticeship assessor, peers, and student advisors (SAs) was also acknowledged as influential, with all students interviewed stating that some form of in-college support had helped them to complete their courses. Other contributing factors included: enjoyment of work placement; flexibility within study programme; effective home-college communications; resolving issues with classmates; own desire to complete; parental pressure; and a second chance, via a behaviour contract. The focus group consisted of six members of the college’s senior leadership team, including the principal, deputy principal and the head of the caring professions department. They were invited to contribute to three discussions: (a) factors influencing retention rates, (b) prior successful initiatives, and (c) policy and priorities. Factors influencing retention rates. The first discussion identified factors which had an impact on retention rates, which included: students being offered employment by work placement settings (often as apprentices); features of students’ private lives, including moving, issues at home, and going to prison; timetabling; and students not coping with the demands of the course. Focus group members also identified some predictors of retention issues, including students joining courses late, and having family and/or social issues. The group identified the following instances which had a positive impact on retention: right student on the right course; setting an assignment in the first few weeks; having fun; building friendship groups; stickers on charts; sound information and guidance (IAG); well-planned induction; careful safeguarding arrangements; clear boundaries; teachers who are interesting, kind and care about students; and zero tolerance of bullying. Three group members felt strongly that length of service had an influence on teaching staff’s ability to appreciate their role in student retention, a theme which was also evident in the literature review for the study (Thompson & Wolstencroft, 2012). Focus group members also felt that FE is increasingly heavily judged by the Office for Standards in Education, Children’s Services and Skills (Ofsted, 2014), resulting in a greater focus in colleges upon what makes students leave. Reflecting evidence in existing literature (Wallace & Gravels, 2007; Association of Colleges, 2014), the group felt that funding pressures (colleges keep students who may not succeed) were also a feature of contemporary FE, coupled with massive pressures between quality and finance. Prior successful initiatives. In the second discussion, initiatives which had previously been successful were identified. These included: focused preparation for students progressing between levels; being strict with entry requirements; conducting aptitude tests during induction; a protracted induction period; challenging lecturers with data, developing a competitive climate amongst staff, and instilling accountability within course leaders; and collaborating with employers to prepare students for apprenticeships after a full one year course. Policy and priorities. In the third discussion, group members focused on policy, agreeing that funding continues to be heavily weighted towards retention, and other priorities should be identified, including: additional capacity to allow students enough time with support, welfare, pastoral care and counselling staff; in-college University and Colleges Admissions Services (UCAS) resources; and career guidance in schools as well as colleges. Focus group members also felt that it would be useful to have greater freedom to develop courses which were tailored for individual students, and funding should be available for supervised catch-up work, and other supportive initiatives. They cited inefficiency due to unequal spreading of funding and suggested that some less efficient parts of the educational sector (university technical colleges and school sixth forms, which mirror the academic offering of FE colleges but are situated within secondary schools) should be dispensed with. They also believed that the withdrawal in 2011 of Education Maintenance Allowance (EMA) had an impact on attendance and retention, and this should be reinstated. Changes in curricula were also regarded as having had an impact on retention (these have sometimes been in the form of more robust exams – a form of assessment which is not always right for all students). With the support of staff who had worked with the participating students concerned, four profiles were constructed of those who had been supported by the college’s academic and pastoral teams at points during their studies when course completion became uncertain. This group included three students who had successfully completed their courses, and one who had withdrawn prior to completion. Each profile was composed of: an outline of comments regarding the student’s behaviour and progress (taken from the college’s online system); an unstructured interview with the Student Advisor (SA) who had supported each student; and a semi-structured interview with the student. The profiles constructed identified similar experiences for some of the students. Disrupted home lives were a feature for two of them – one who withdrew and one who completed. Here, the difference was that the completing student had the support and encouragement of her peer group in college whilst the student who withdrew had become alienated from her peers. Two of the students who completed stated that they prioritised their social lives over their studies. These two, together with a third who did not complete, were the subject of SA intervention. The fourth student, who had an autism diagnosis, liaised largely with lecturing staff, as a result of having built trusting relationships with these individuals during the early weeks of his course. SA intervention was not necessary because his attendance and behaviour were good; his reservations about the course were due to problems in processing some of the case study/scenario content and a lack of clear career aspirations. Results suggested that key individuals (staff and peers) were able to influence students’ decisions about completing their studies, with trusting partnerships and the ability to offer flexible programmes proving crucial to this. Relationships, in addition to the aptitude and attitudes of staff, have been linked with student retention before; Maynard and Martinez (2001, p.38) identified that ‘…the quality of human resources…’ was believed by teachers who achieved high levels of student retention ‘…to be of equal, and possibly greater, importance than books, equipment and positive learning environments.’ It was therefore important that findings assembled during this study were disseminated throughout the college workforce to enable them to appreciate ways in which they could support retention within their individual roles. This was achieved through a series of CPD sessions during which staff in different roles shared valuable anecdotes about students who had been prevented from withdrawing. Results also indicated that the quality of students’ relationships with their peers, and their attachment to the educational institution itself were influential, as were links between courses of study and employment opportunities. These are features of the FE student experience which can be influenced from induction onwards. Findings of this practitioner-research have been used to inform induction processes for the coming academic year. Student respondents were invited to contribute to the design of induction timetables, and four of them joined teaching staff to produce a two-day schedule. As part of this, employers were invited to meet groups of students during their first few days at college in a move which aimed to establish firm links between their chosen course and the world of work. In addition to revisions in practice resulting from this project, some themes have emerged which may be worthy of further exploration. These include the views held by new and experienced teachers regarding non-teaching aspects of their role, and the notion of offering bespoke courses to suit individual students’ needs. In general, the activities conducted as a result of this study have had the effect of making retention a topic for open discussion amongst staff from different disciplines and students. Student retention has emerged as a key focus for FE professionals, rather than simply being related to a set of data which we are obliged to memorise in the form of three-year trends. Department for Business, Innovation and Skills. (2012). BIS research paper number 99: Evaluation of the impact of capital expenditure in FE colleges. London: Department for Business, Innovation and Skills. Department for Education. (2015). 16 to 19 accountability headline measures: technical guide for changes in 2016. London: DfE. Maynard, J. & Martinez, P. (2001). Pride or prejudice? College teachers’ views on course performance. London: Learning and Skills Development Agency. Office for Standards in Education, Children’s Services and Skills. (2014). Teaching, learning and assessment in further education and skills – what works and why. Manchester: Ofsted. Thompson, C. & Wolstencroft, P. (2012). A year on the frontline: dispatches from new FE teachers. Journal of pedagogic development, 2(3), 16-23. Wallace, S. & Gravells, J. (2007). A to Z for every manager in FE. London: Continuum International Publishing Group.